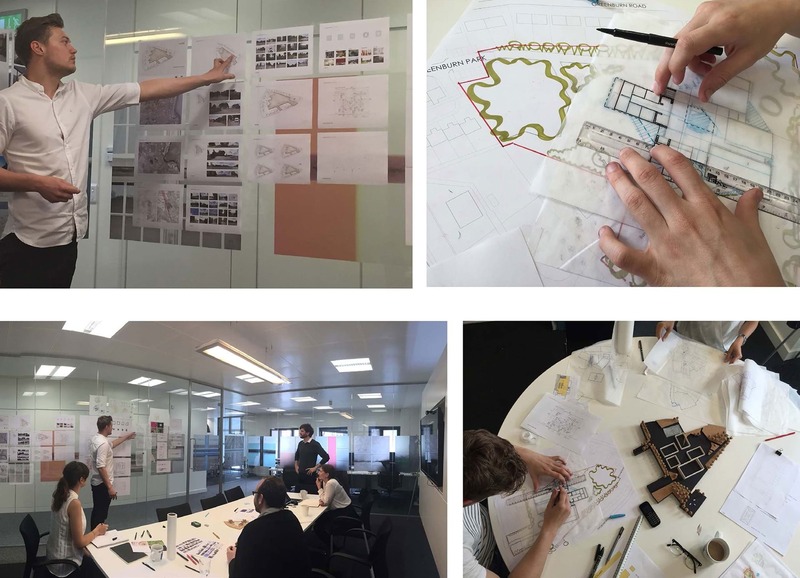 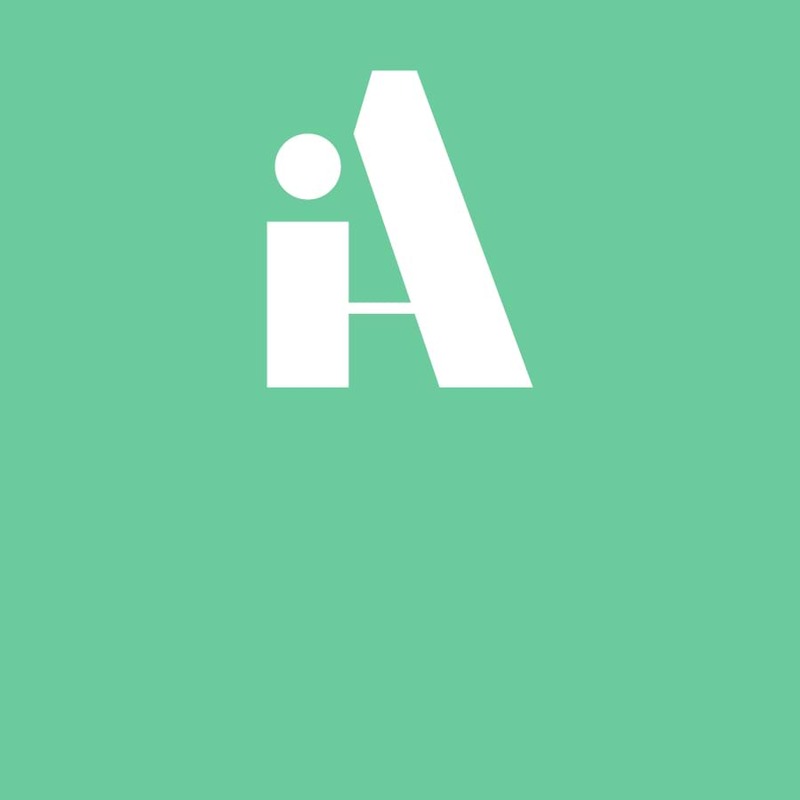 We developed the brief and design working in close consultation with a range of stakeholders. 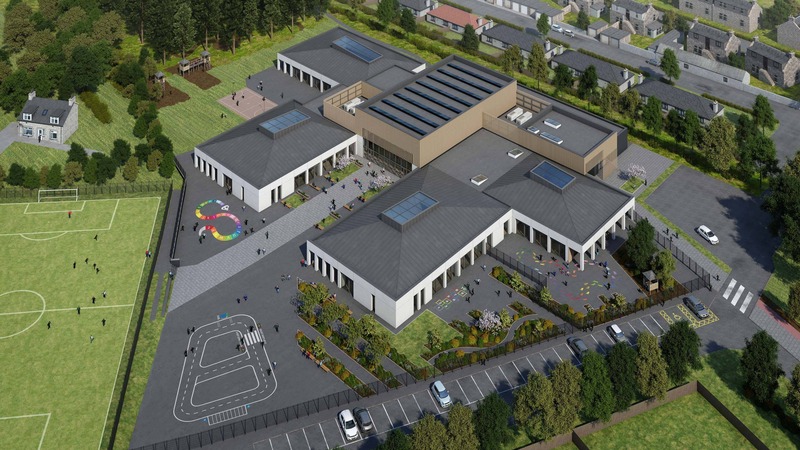 The Council’s outline brief called for a new state-of-the-art school providing a modern, congenial, healthy, learning and working environment for the primary and pre-school community. 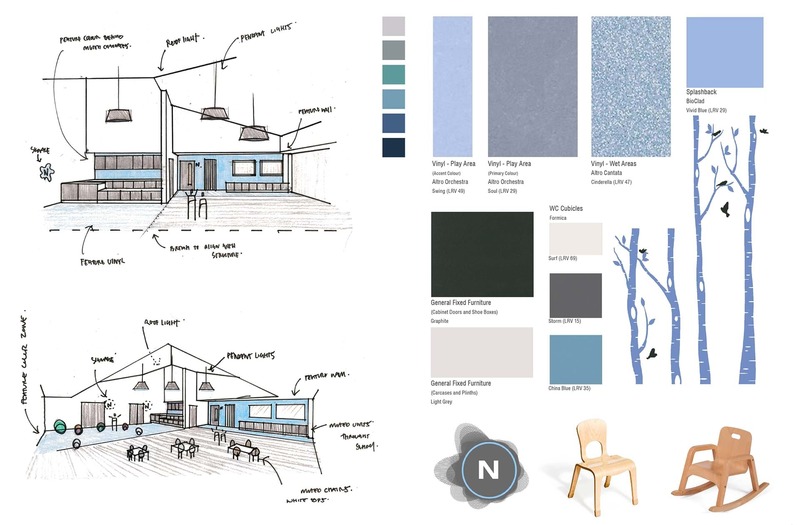 Our design is conceived around the strongest sustainable design principles. 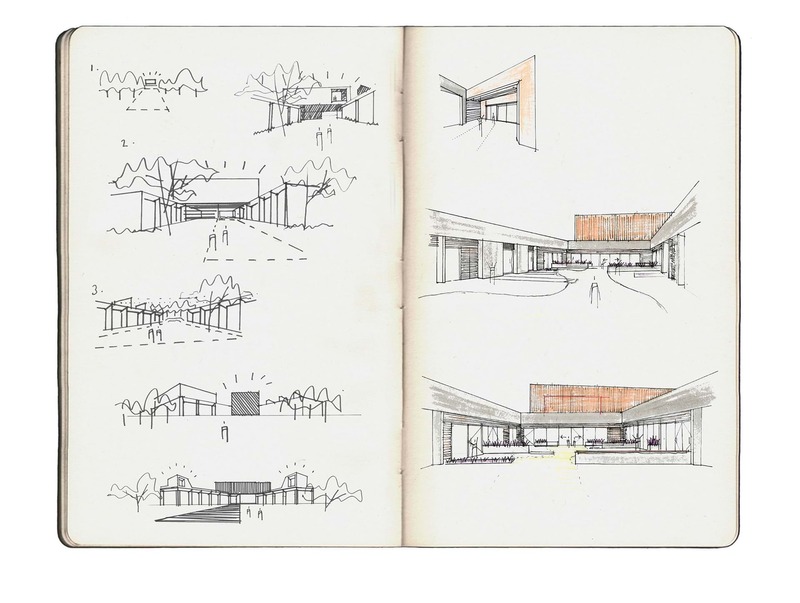 Comprising four teaching pavilions arranged around a core of community and assembly spaces. 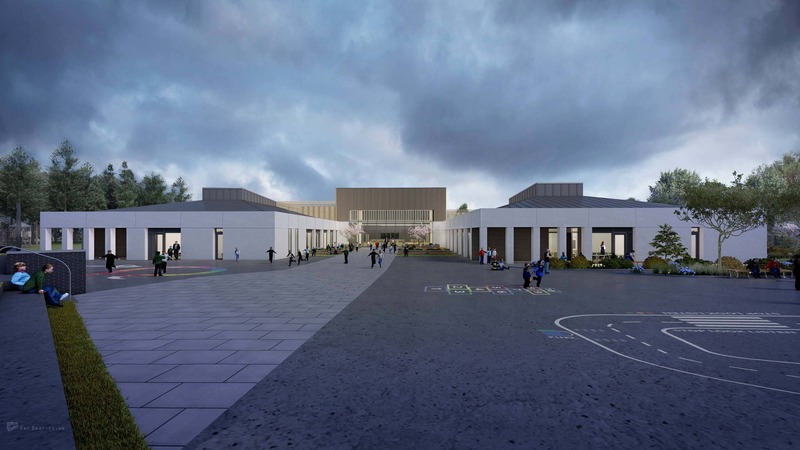 The teaching pavilions are clad in white concrete and each has a zinc-clad, hipped roof with lantern to illuminate the double-height flexible learning space at the heart of each classroom cluster. 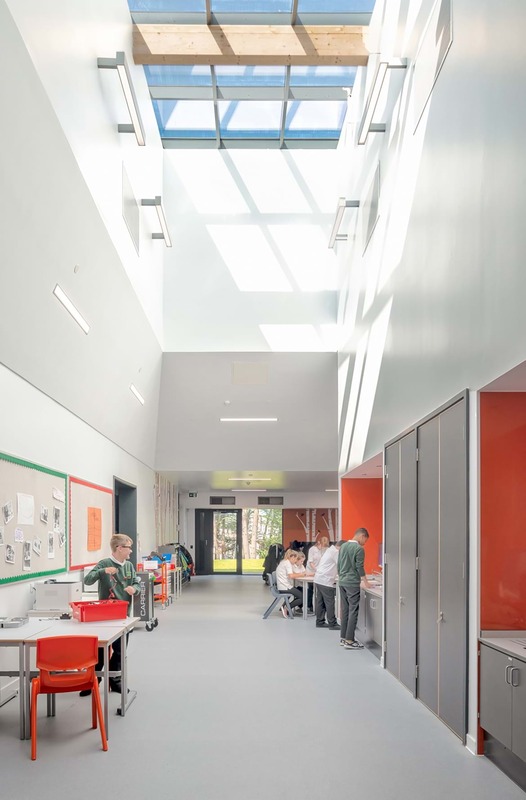 The core community and assembly spaces have flat roofs and timber cladding. 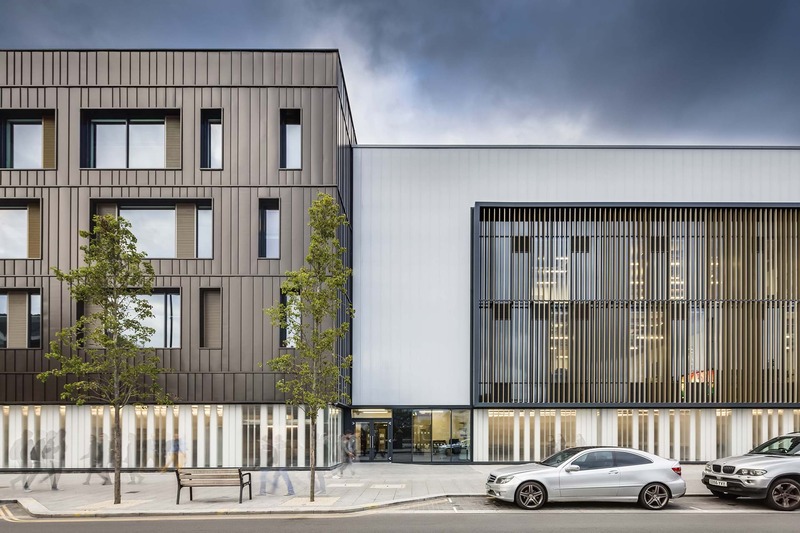 The building is one of the largest cross laminated timber education buildings in Scotland. 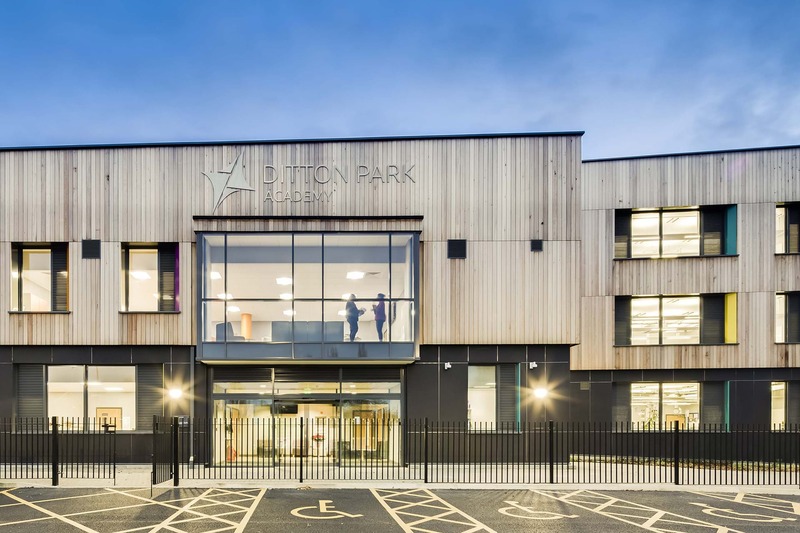 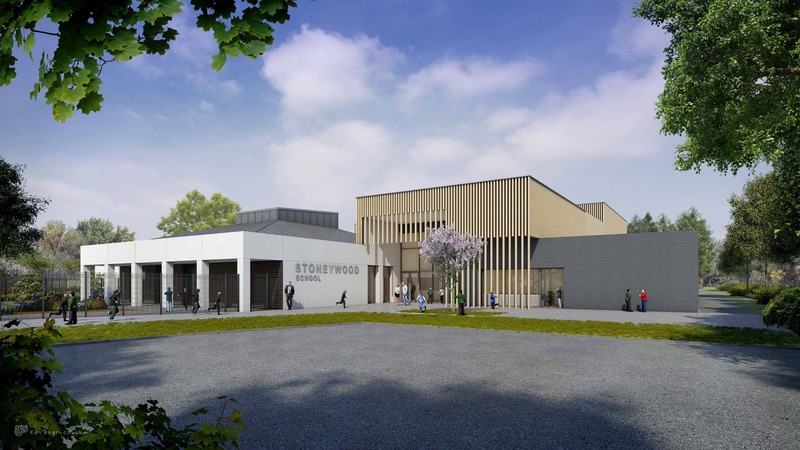 Mature trees bound the site and the teaching pavilions are surrounded by a sensitively designed learning landscape featuring paved and planted areas, outdoor learning and play facilities (including a 3G synthetic pitch), amphitheatre seating areas and woodland pathways. 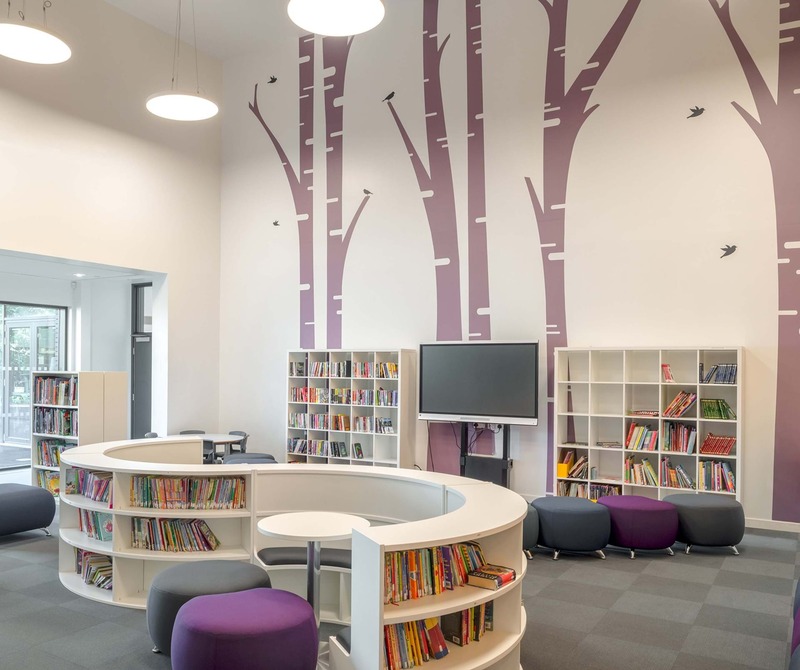 Our design and layout ensures that every teaching space has direct access to this landscape.